SUSU has got your summer holidays covered, should you wish to remain in Southampton over the vacation period. The Union is running several discounted price excursions to locations such as Bournemouth, Portsmouth, London, and even Southampton’s Mayflower Theatre to see the Lion King. 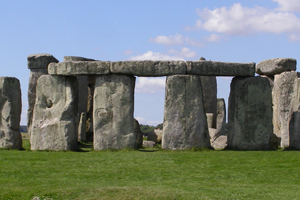 The August itinerary kicks off with a trip to Oxford via Stonehenge on Sunday 3 August. The group will meet at the Highfield Interchange at 8am sharp. The cost for this trip is £31 with tour (including entry to Stonehenge) or £27 without tour. Next there is a trip to Bath and London on Saturday 9 August. To go to Bath, the cost is £19 with tour and £14 without and you will need to meet at the Interchange at 7:45am. For the excursion to London on the same day you will need to be at the Interchange at 8am, and it will cost £19 with tour and £14.50 without. The next planned excursion is one to Weymouth on Saturday 16 August which meets at the Interchange at 8am costing just £12. On Sunday 24 August SUSU have organised a trip to Thorpe Park costing just £39. To get involved all you have to do is meet the group at the Interchange promptly at 8am. Following this there is a Brighton trip on Saturday 30 August for £12 and a self-funded trip to Portsmouth on Sunday 31 August – again, just show up at the Interchange at 8am to join in. We hope you are able to find the perfect day trip or excursion for you! As always, wishing you an enjoyable summer from SUSU.